Saeed Shirzad is a children's rights defender in Iran. 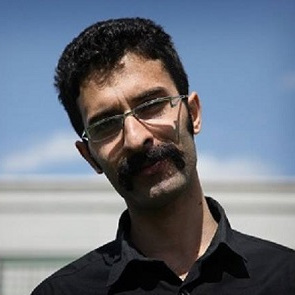 He has worked with children’s rights NGOs including the Association in Support of Children’s Rights, Children’s Home of Shoosh and Society in Defence of Street Children, and has travelled throughout Iran and internationally to provide humanitarian assistance to children and advocate for their rights. Saeed is known in particular for his work in defence of street children, which includes organisation training, education, and health services for homeless, disadvantaged, and refugee children in collaboration with UNICEF. He has helped recruit lawyers to support refugee and asylum seeking families to obtain legal documentation, and identified and provided direct support to more than 100 families working in sweatshops. Hope for political reform in Iran surfaced when President Hassan Rouhani assumed office in 2013 and dozens of opposition political figures and human rights defenders were released. However, violations of the rights to freedom of expression, association, peaceful assembly and movement of HRDs continue to be prevalent. Human rights defenders and journalists are arrested, detained and prosecuted in unfair trials. HRDs continue to receive death threats and are subjected to harassment, arbitrary arrest and detention. They are refused bail or receive extreme bail conditions. HRDs are additionally subjected to systematic surveillance and their family members are targeted. Detained HRDs are ill-treated, subjected to solitary confinement, denied adequate medical treatment and visits by family members, and forced to confess their alleged crimes under duress.